From ceremonies with kitsch to high-style affairs, Las Vegas offers a wide array of unique wedding venues. What can we say? We’re suckers for romance and we’ve got the wedding packages to prove it. Las Vegas is known as much for its weddings as it is for its casinos. With an average of nearly 100,000 marriage licenses issued annually, Las Vegas is recognized as the world's wedding capital. Whether it's eloping on a secret rendezvous, or planning an elaborate ceremony for hundreds of your family and friends, there is no place quite like Vegas to make it official. Part of the allure of getting married in Las Vegas is that it offers the ultimate freedom of choice, ranging from Elvis presiding over a 24-hour, drive-through chapel to a lavish soirée at one of the world's premier resorts. In addition, Las Vegas has minimal requirements and no waiting period, making "quickie" weddings an attractive possibility. Nearly every major casino resort in Las Vegas has its own unique wedding chapel, offering simple celebrations and elaborate affairs for brides and grooms of every taste and budget. From the romantic Terrace of Dreams at Bellagio to the storybook charm and old world elegance at The Venetian, weddings in Las Vegas are magical. In addition to resort chapels, Las Vegas also offers an array of stand-alone chapels for a distinctively different experience. A Special Memory Wedding Chapel - Located on 4th Street in downtown Las Vegas, A Special Memory Wedding Chapel features a world-famous Drive Thru window for "quickie" weddings. Ceremonies presided over by Elvis impersonators are also available. A Special Memory also offers traditional weddings and exciting adventure weddings at nearby scenic locations. Chapel of the Flowers - Voted "The Best Wedding Chapel in Las Vegas 2010," by the Las Vegas Review-Journal poll, Chapel of the Flowers has been creating dream weddings for more than 50 years. With three chapels to choose from, Chapel of the Flowers specializes in vow renewals and customizable traditional wedding ceremonies. Graceland Wedding Chapel - Home of the original Elvis Ceremony and right on The Strip, Jon Bon Jovi, Billy Ray Cyrus, Jay Leno, Johnny Depp, Salma Hayek and numerous others have walked through these doors to make it official. Featuring traditional or Elvis themed weddings, Graceland offers a quaint and unique wedding chapel with over 50 years of history, stellar service and affordable packages. The Little Church of the West - Since 1942, it has been one memorable day after another at the legendary Little Church of the West. Betty Grable, Judy Garland, Mickey Ronney, Dudley Moore, Cindy Crawford and Richard Gere and many others have exchanged vows here. Listed on the National Registry of Historical Places, The Little Church of the West, originally built as part of the Last Frontier Hotel, has been moved three times but still maintains its original integrity. A Little White Wedding Chapel - Known around the world as one of the most famous places to get married, A Little White Wedding Chapel is the site of numerous celebrity weddings including basketball star Michael Jordan and his wife-to-be Juanita Vanoy, Frank Sinatra and Mia Farrow, Bruce Willis and Demi Moore and many more. Vegas Weddings - The mission of Vegas Weddings is to surpass every couples' expectations, regardless of their budget. 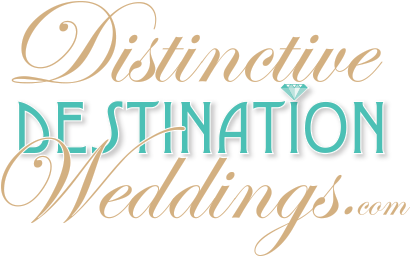 Since opening in 2001, Vegas Weddings offers convenient, hassle-free, affordable, yet elegant weddings. From traditional chapel weddings to Valley of Fire or Lake Mead Cruise packages, Vegas Weddings offers something for everyone. Viva Las Vegas Weddings - Viva Las Vegas Weddings are experts on themed and fantasy weddings. Fantasy weddings include anything from gothic to Egyptian to beach party. From the Fairy Tale Wedding Package to the Blue Hawaii or Pink Cadillac Wedding Packages with Elvis, any bride can create her ideal day. Most popular wedding dates in Las Vegas: Dates with repeating numbers (for example, 1/01/01, 2/02/02, 3/03/03). One of the most popular wedding dates of all time, 7/07/07, was a big day in Las Vegas due to its implied luckiness (it's the ultimate jackpot!) and the fact that it landed on a Saturday. Delta Vacations - Fall In Love At First Sight! Travel Impressions - 8th Guest Stays Free in Mexico and more! Travel Impressions - Free Wedding Package in Mexico & the Caribbean!